Pick a horse from three different breeds and raise them through three life stages: baby, kid and adult. When you first start the game, the horse you choose is at kid stage. Care for your horse to adult stage and you have the chance for him/her to find a mate! If they fall in love, they will have a baby. The color and breed of the baby depends on the mothers and father's color, but the breed will automatically be the father's. You can also get codes to unlock special items. One is even a horse! You can even enter contests to earn prizes. Have fun with this amazing game! if you go to amazon you can order it. i just ordered it today so i will get back to you on how great or bad it is. i played it before and it was 5 STARS. This game sounds awesome, can someone please let me know how much it is and where you get it from? i love the game. i have a five star ranch. I love this game I have a newborn Appaloosa foal, a brown Andalusian, a white Andalusian, a female Appaloosa, a brown American quarter horse, a Lipizzaner, and a curly! And I got all of those horses in less than an hour! OMG i own the game love love love it! so fun! i need cheats catdog, is one. by the way yeah i tried horse and it said incorrect. 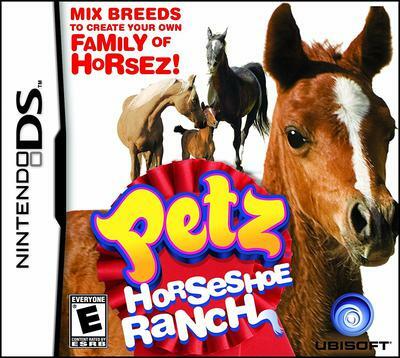 yeah, love the game and recommend it to horse lovers. This is a really awesome game! I love it so much, mostly because you can have up to 10 horses, and the fact that there is no money in the game; everything is free! I have entered some of the cheats, but not the horse one (haven't heard of that one). There are also hundreds (probably in the thousands) of breeding combinations. Fun, fun, fun game!